For a minimalist at heart, covering Milan this season might be one of the tougher tasks I’ve had—and I’m not just referring to the fashion. 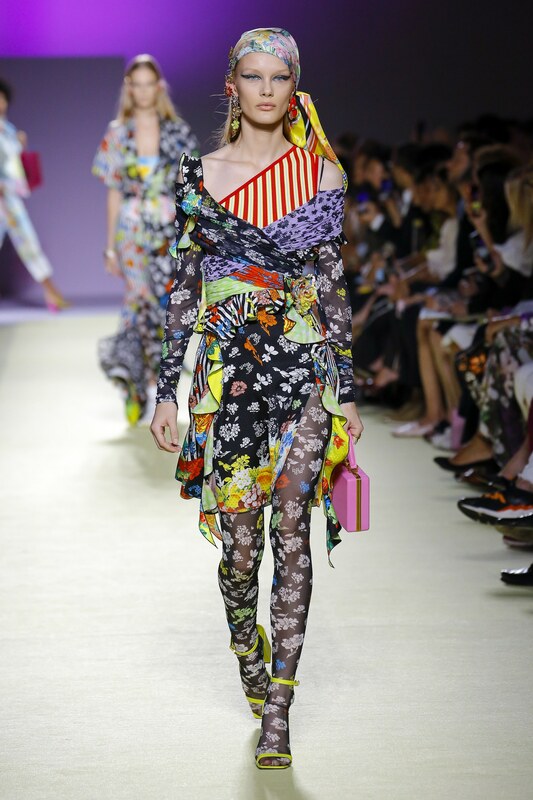 Upheavals in the fashion world and beyond have altered and challenged the status quo as we know it, leaving many to wonder about the future, or perhaps wanting to escape it altogether. First up, we saw Versace (formerly known as the Italian Island as it’s remained one of the very few independent European houses) snatched up by Michael Kors for $2.1 billion. Donatella’s instagram following went haywire over the idea that the iconic Italian house was purchased by…an American? No longer a fashion house island, Versace now falls under Capri Holdings (ironically named after the Italian island of Capri), America’s first global luxury group. 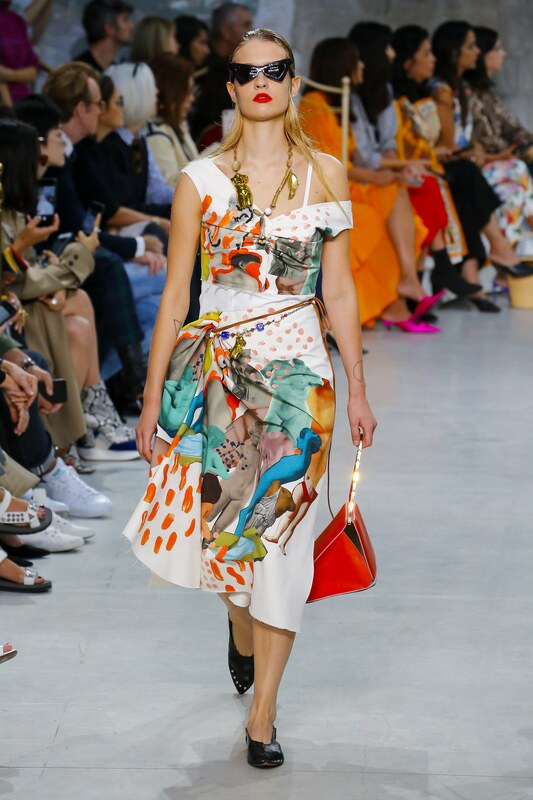 Meanwhile on the runways, bright colors and patterns reigned, creating the most brilliant contrast to a bleak, polarized, black-and-white (if you will) political climate. 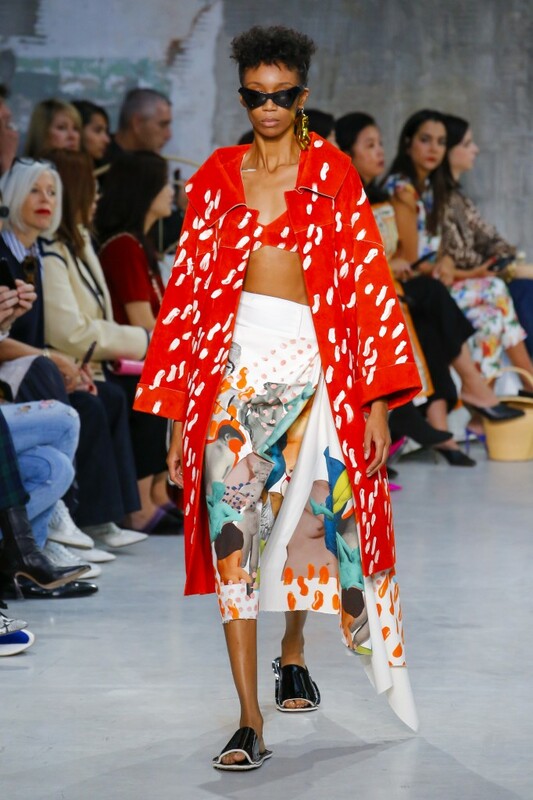 For fashion week in Milan, it was as if Italians and the fashion world at large took a holiday from the outside climate and frolicked and played through fashion. 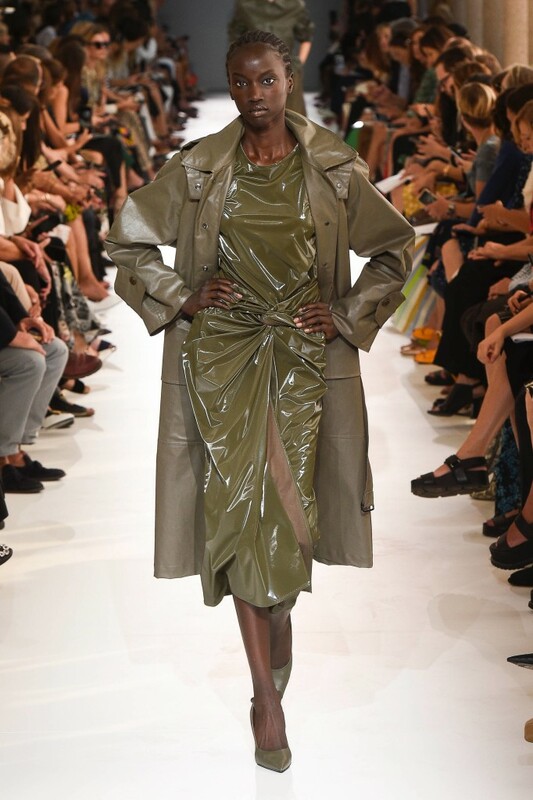 Anna Wintour herself described her experience at Milan fashion week as “pure joy,” and even remarked that the traditional one note Italian runways embraced some diversity in terms of model selection this season. 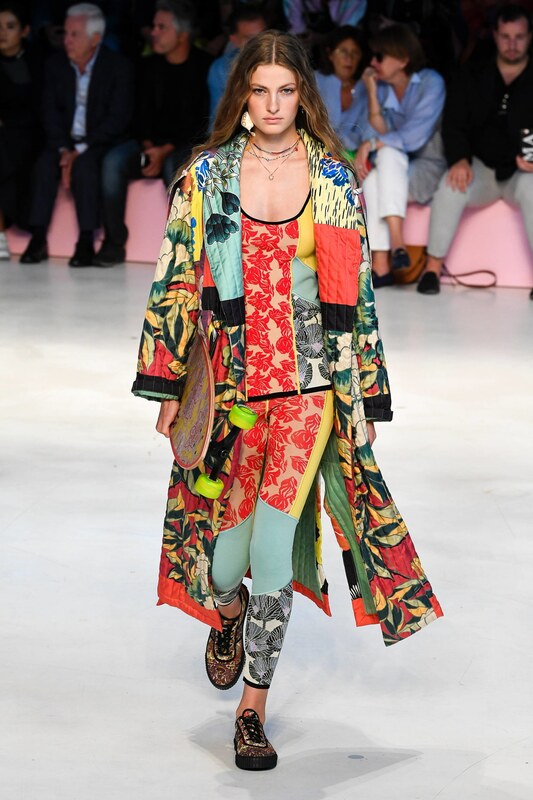 Donatella took us somewhere over (or under or perhaps in the middle of) the rainbow for SS 2019. 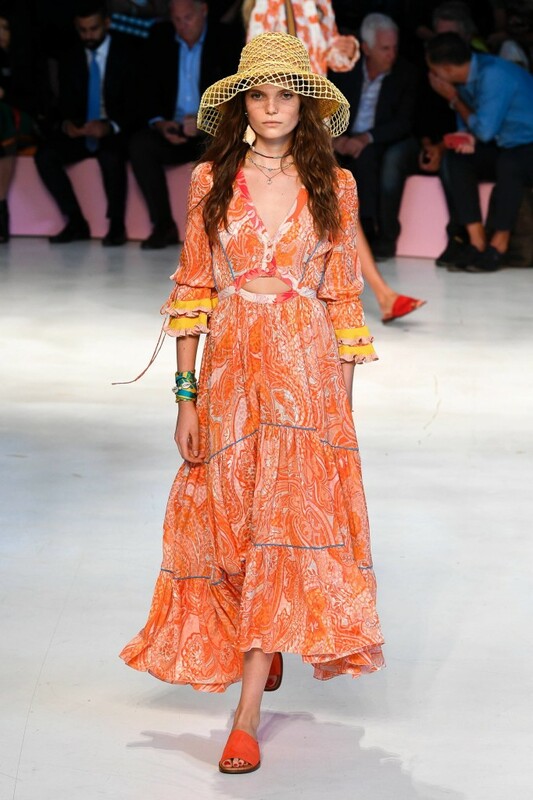 If the bright colors at Versace didn’t make you feel as if you were already on holiday, the beach/surfer inspiration at Etro was sure to whisk you away for the duration of SS 2019. Again, color and pattern reigned supreme (as did actual surf champions who walked the runway). Sunny tangerine and lemon popped up alongside beachy toppers that had a floppy fishing net feel. 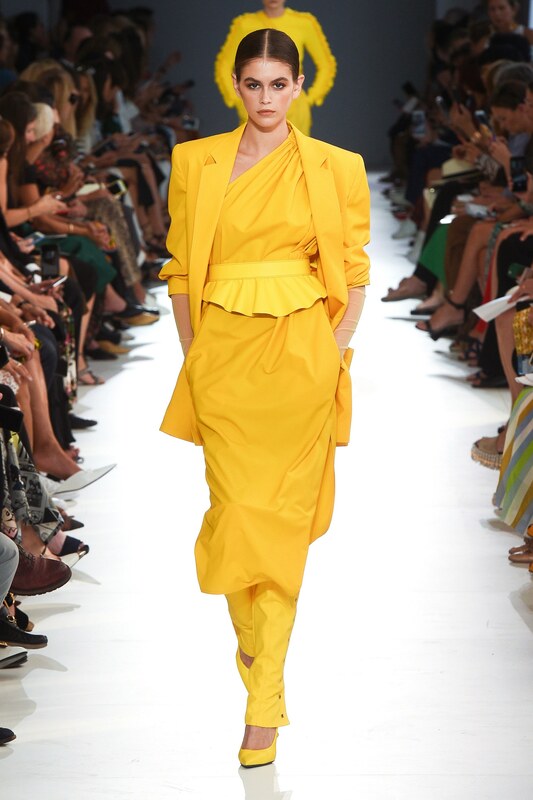 Marni, too, was a celebration of color. 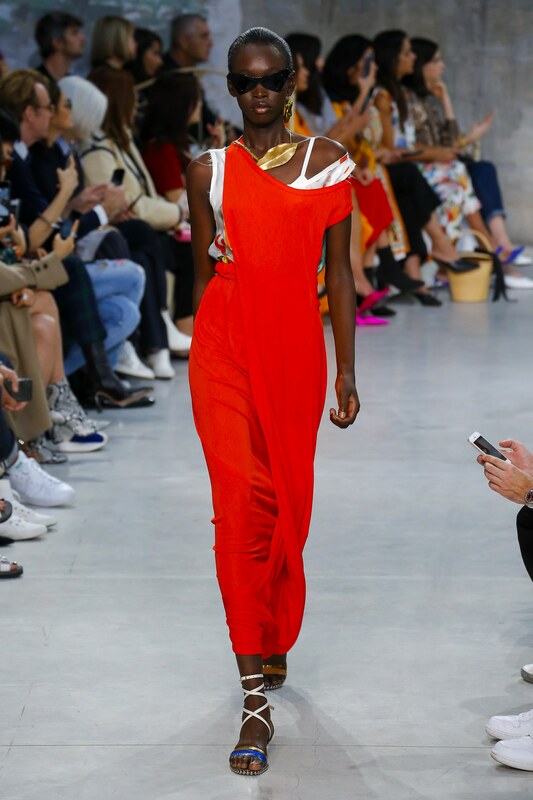 But what was extra-vacay-like in this collection was the hand crafted feel to the draping—think coming out of the water and gorgeously draping a large beach towel around yourself. You know the look, the one when you are experimenting with uncut fabric and you find a drape you love. You also know you have your work cut out for you trying to figure out how to resolve such a pattern in order to make a finished garment. 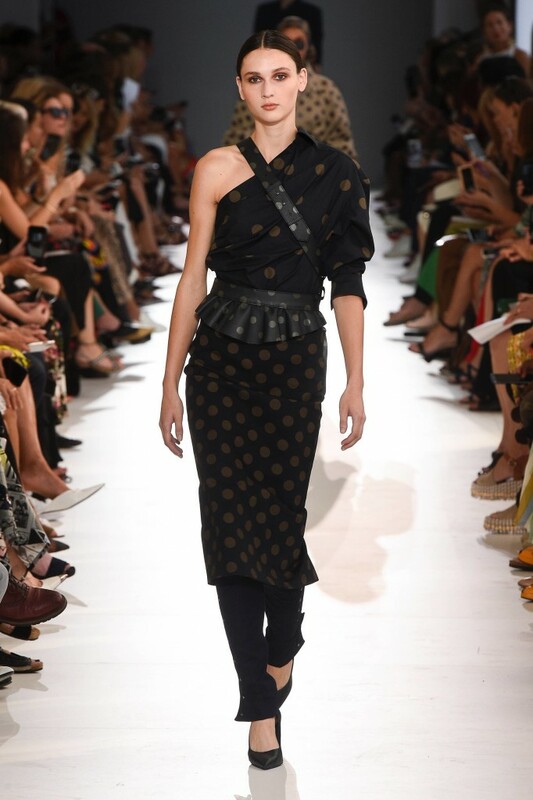 The beauty of this Marni collection is in the resolution of the effortless-looking draped garments. A draping shout-out should also go to Donatella’s team. Revisit the first couple of looks in this post, while the bright orange is more successful than the florescent yellow, resolving an asymmetrical bias cut pattern is no easy task.